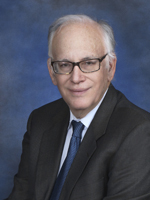 Winne Banta | Frank J. Franzino, Jr.
Frank J. Franzino, Jr. has more than 30 years of extensive litigation experience, at both the trial and appellate levels, with emphasis in commercial and corporate matters. He has successfully represented his corporate and individual clients before the state and federal courts and has participated extensively in arbitrations before the National Association of Securities Dealers and the American Arbitration Association. Frank also frequently represents international clients in judicial and arbitration proceedings in the United States.